What's The Cost of a Restored Scooter? Wonder what the real cost of a vintage scooter is and how come they are more expensive than you thought they would be? Below, Niall McCart outlines what you might have to pay for a scooter and what other costs you need to consider as part of the "project". Every year, as Spring starts, we are inundated with enquiries for classic scooters and, with the state of public transport, the spiralling cost of fuel, congestion charges (scooters are exempt for now but keep an eye on the regulations) and the draconian parking rules, this trend is set to continue. 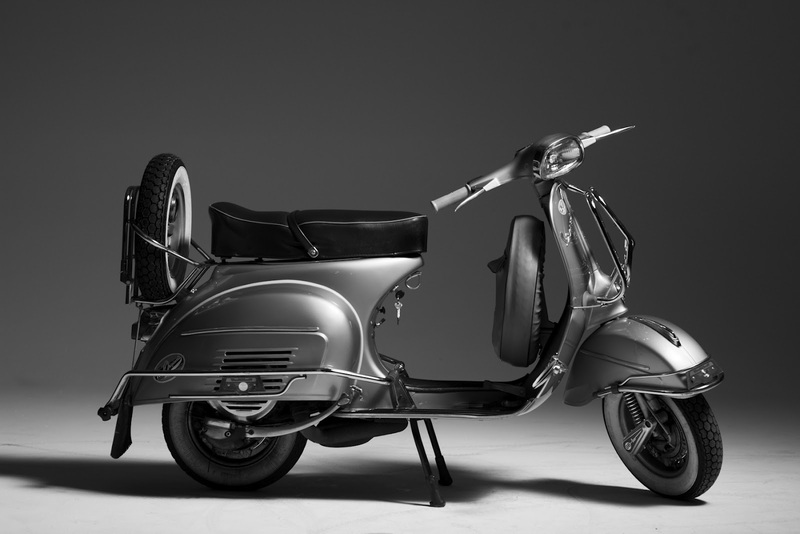 Whilst this sounds like great news for our business, there is one problem - the shock reaction of our customers when we tell them the sort of price that a fully restored, safe, reliable vintage Italian scooter is likely to cost them. So, how much might a restored Vespa cost? Well, if you ring us up, having browsed the web (but not our site specifically), you are likely to be thinking that a budget of £2,000 - £2,500 should get you something. Whilst there may be a few bikes available for this sort of price, it will not be a quality, reliable and restored Vespa or Lambretta of any sort. Yes, on Ebay and Gumtree scooters are regularly advertised for these prices and they may even sound ideal for you BUT (and this is a big but), unless you know what you are doing, these bikes will cost you a lot more to get them to a similar condition to one of our restored bikes. The difference between an Ebay retro scooter and a "Retrospective Scooter" is that ours has usually had a full ground up restoration that includes everything on our restoration list and it comes with our guarantee and support which will keep you on the road and confident in your scooter, not bashing your head against the speedo wondering why it just won’t start on cold mornings or stalls each time you come to a slight hill! 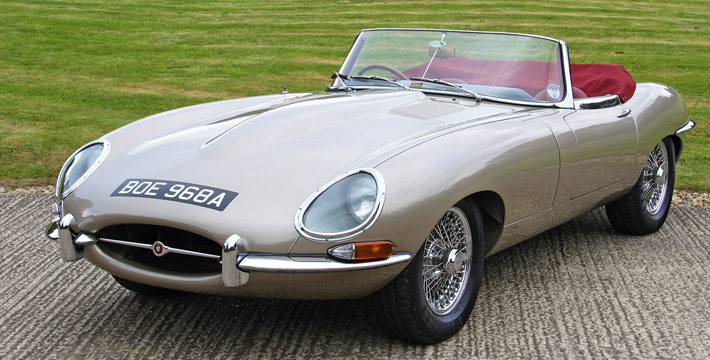 So, a stunning Vespa Sprint from 1966 may cost £6500+ and you can buy a car for that but you cannot buy a restored 1963 S1 3.8 litre E-Type Jaguar for much less than £190,000 and that is what you should be comparing your vintage Vespa to! Vintage scooters are typically 30-50 years old, they are rare (and rapidly becoming rarer) and they require a lot of work, skill, time and expertise to bring them back to their former glory. We source parts from all over Europe and often use original “New Old Stock” quality parts. These bikes are rebuilt to last and their engines have been entirely rebuilt which will give them and brand-new lease of life which includes running them in gently at first. Lets take a look at things and break the cost down a little. Base cost of classic scooter (rusty, unrestored, mechanically questionable) = £1,500 - £2000 (and increasing). A rare model can cost many, many times more than this. Now let's "do it up" properly. The old chassis needs to be stripped and bead blasted to get rid of all the rust deep down in-between its seams (Italy is famous for rust as well as scooters and every Vespa comes with plenty of it). We strip it right back to bear, shiny metal; there will be panel beating and welding. No huge areas of filler in order to save time and money but properly panel beaten back into shape by someone who recognises the classic lines these scooters follow, someone who can spot imperfections and the wrong drill-holes and even spot a bent chassis on these classic scooters. Next is a quality paint job with sealed joints and special stone-chip prevention paint underneath the chassis, and the correct Piaggio paint-codes. All that work to bring a battered rusty old frame back to factory standard, like new, costs at least £1500. Next, our mechanical experts have to strip and rebuild this scooter down to every last nut and bolt, the chassis, forks and engine are all totally re-conditioned and rebuilt that's another £1500. Then you need the new parts such as bearings, cranks, suspension, seat, chrome, trim, new tyres and wheels, speedo, etc - that’s about £1000. Now we're at £5500 to £6000 then we have registration if needed, MOT, and what about extras? Do you want to put an upgraded engine in? Do you want a 12 volt conversion (more reliable, better fuel economy etc)? Two tone paintwork? Chrome carrier and bars? How about some "go faster" bits? This can easily get you up to £6500-£7000 in total and that is for a general vintage scooter – not one of the many rare collectors’ items. Oh, and I forgot, so far I haven’t made a penny on the bike!!! We have just spent 2-3 months, 100 hours of labour and invested 30+ years of experience to be able to do all this work. The man who sold me the scooter got paid. The painter got paid, the mechanic got paid and the parts suppliers got their money too. There is even a VAT bill of over £1000 to pay the tax man. So, finally, I need to add a small margin for my time, effort, management and expertise, how about I try to “get away” with 10-20%? Seems reasonable – probably way too small actually, but hey, I love what I do and that has to count for something. What are your options if you simply cannot afford the market prices? £2,000 will get you about 1 year of travel in zones 1-5 of London and you will rarely be on time. There are lots of these around and, although they are not built to the same standards as they used to be, they are usually reliable. However, the engines on these are not designed to last forever and they are not nearly as serviceable either. Many have been badly maintained and they are just plain boring! Also, if you head this route, be very careful about the theft problems these days. Check all the paperwork and walk away if you are suspicious. 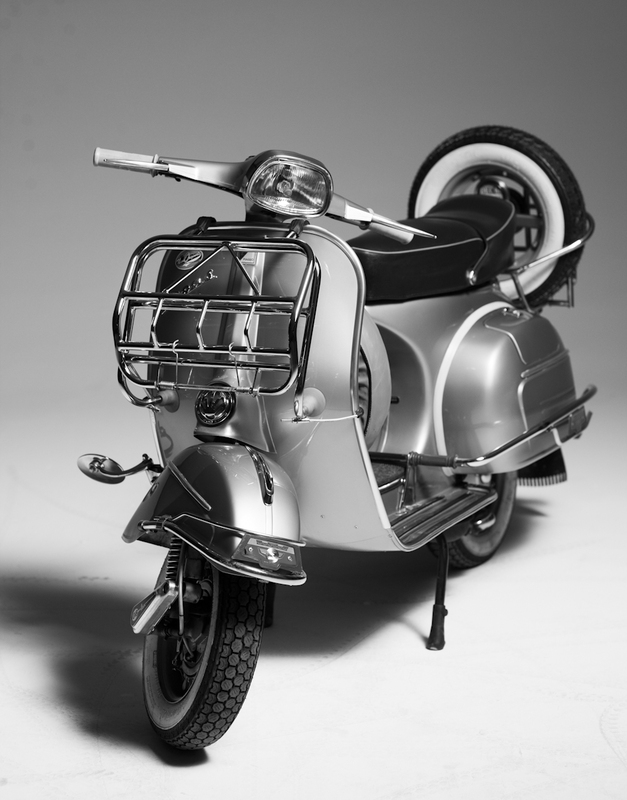 Recently, this has started to become a viable option, so much so that we are soon to be selling a small number of Royal Alloy scooters that come in at around the £2,700 mark brand new. Whilst you do not get the quality of an Italian scooter, you do get a good run around that will last a good while and be very cheap to run and maintain. We do sometimes get scooters we have previously restored back as trade-ins and these can be available for around £3,500 - £4,500. Be warned - scooters like this are always snapped up straight away because they have our warranty and mechanical approval, but they are few and far between. Just be careful. We estimate that only about 1 in 10 vintage scooters for sale online are really worth buying. The others either have lots of hidden problems; bent frames, previously stolen or, you may end up with a “Vietnamese Bodge Job Special” – a model of Vespa that you must stay well away from. These are great looking scooters with lots of sparkle but many (if not all) will be potential death traps that have been imported from Vietnam (and more recently Pakistan too). There are thousands of these bikes on the market and you should avoid them like the plague as they are held together literally with tin cans and glue. Even if someone is giving them away – they are almost NEVER worth the trouble, money or injury risk. There are loads of personal finance options around these days and many with reasonable interest rates. We are not financial advisors at all so please do seek out your own advice, but don't be tempted to pay for something like a scooter on a credit card. There are plenty of better interest rates around and we recommend Pegasus Personal Finance as an option for you to see what offers they may be able to make you. There you are the real story behind the £6,500 scooter! A piece of good news about all this is that a well restored, carefully cared for vintage Vespa will hold it's value or even go up in price. Rather than dropping in value by 30% as you leave the garage, these bikes are always sought after and will always find a new home if you ever want to trade it in. I hope the above has helped you understand the process we go through, the value we offer and how the average cost of a restored, reliable and road-worthy vintage Vespa can quickly mount up. Now, all you need to do is save up, take a look around the online vintage Vespa showroom, then come down to our store and fall in love with your perfect scooter. It could be the last time you need to use your travel-card and how nice would that be?